We all at times wrestle with our identity, searching for a place of belonging and purpose in life. As Christians, our beliefs, values and purposes often conform more to those of the world, leading to fear, doubt and insecurity, rather than being grounded in what is eternally true, meaningful and of greatest value. 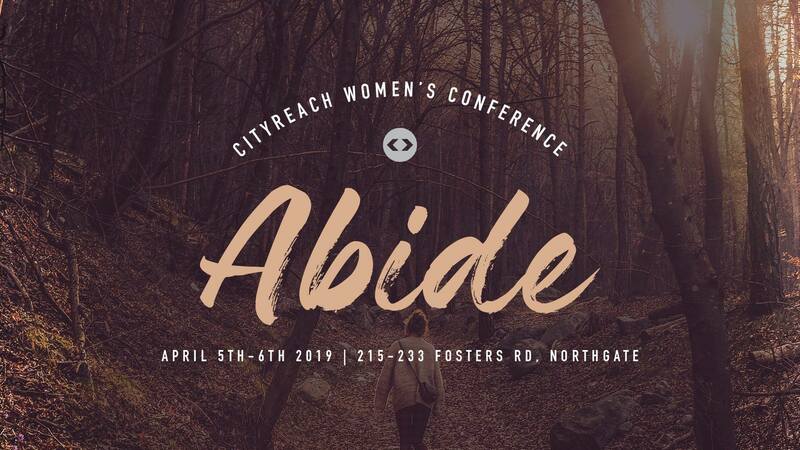 Abide 2019 aims to enable women to do just that. Together we will delve deeply into God’s word, be practically equipped through workshops and encouraged by the fellowship of the wider church family. Together we’ll leave assured of our unchanging identity, with a freedom to passionately pursue depth in our churches, and confidence that we are equipped to be on mission in our homes, workplaces, churches and beyond. We’d love you to come along and join us as we take this journey together! Have you ever wondered how all the books of the Bible fit together? Have you ever wondered what the point is of the prophets? Or perhaps why there are two sections to it? Is the Bible made up of 66 individual books, or does it somehow all fit together into one story? This workshop will help bring to light what the story of the Bible is. Beginning in Genesis and ending in Revelation, it will highlight some of the key passages in scripture that will help you as a reader understand the Bible as a story, and provide a simple method to help in remembering this as you study the Bible for yourself. Do you want a boost in your quiet times and learn to study the word of God in a more meaningful way? Come and join us to explore the SOAP devotion method. It is an easy and effective way to interact with the Bible. It will help you to fall in love with the Word of God over and over again. Are you keen to be equipped to dig a little deeper in the study of God’s word? Perhaps you’ve used the same approach for many years, or find yourself wanting more in your relationship with God. Together we’ll dive into Scripture in a way that will guide you deeper into the heart of God’s word and lead you to Biblically true applications that seek to transform your heart, not just your actions. Whether we are new to our faith or have been a believer for some time, we can often find ourselves weighed down with problems and circumstances that control every area of our lives. Life seems to always be a struggle, and the victory and freedom in our Christian life as promised in scripture seems far from our daily experience. (John 8:36) This elective will help you to discover areas of your life that are controlling and impacting on your daily walk, and will help you to take a step by step approach to fully experience the freedom Christ desires for you to have. Anxiety is all around us. It comes in many forms and affects people in many ways. The Bible reminds us that because of sin we can expect to experience the cares, struggles and anxieties that this life brings. In this workshop we will look at what is anxiety, what the bible says and how we can engage with God in the midst of it. We will explore some practical applications that help us grow more in orientation toward God and experience the peace he provides. Ever sat in a study group and thought there must be a better way? Or maybe you’re keen to start a small group or journey with someone in discipleship but don’t know how? Come along and be equipped with simple tools that will enable you to lead others towards growing in their faith and understanding of God’s word. Come and join a testimony session on how God transformed an ordinary Christian who was seeking Him for salvation of family members, but was brought instead to a journey of personal spiritual transformation and blessing, that also followed into community and national transformation. Find out more about personal prayer and its power to transform you and your community. For most of us the commitment to live for Jesus on Sunday, too often turns to discouragement by the end of Monday. The pressures of life provoke ingrained responses and we find ourselves, at the very least, battling emotions that unsettle our hearts and quench our joy. In this session you will discover how to get to the heart of your troublesome responses and turn towards Jesus who can empower us to live above our circumstances and experience more of the joy that he intended for us. How do you deliver a Bible talk that is grounded in Biblical context, but points to applications for today? Whether you’d like to be prepared for the privilege of teaching God’s Word to children, youth groups or larger group settings we each have a responsibility to teach God’s Word, not our imaginations. In this practical session we will walk through some simple steps that can be applied to give you confidence that you are handling scripture well and trusting God’s Word to speak for itself. This session will endeavour to explore the following questions: Where does creative ability come from and what is its purpose according to scripture? How does the spiritual life and creative process intersect? How can we use our creative abilities to glorify God and bear witness to the gospel? a) On mission through the church – a panel of ministry leaders;Gwynfa Lang (Over 50’S), Bek Western (YA’s), Lauriann Higgins (Kids), Tiana Green (Youth), Megan Cheney (Playgroup), Andrea Taylor (Music), Jodie Cornhill (Mercy). Being on mission through the church involves having a missional mindset in all we do. Mission is not an added extra to the church, it is the mandate given to all God’s people to be making Jesus known to those around us. Come along and hear of the opportunities to serve with a missional mindset within our CityReach churches. In hearing the testimonies of others you may just find a passion to serve you didn’t know God was growing in you! Being on mission means to be actively reaching others with the truth and good news of the gospel. Who better to be reaching with the gospel than those who live in our homes, and those we welcome into our homes. We will be discussing practical ways to establish values, habits and attitudes to create a home that not only welcomes people into a physical house, but more importantly invites our family and friends into the family of Jesus. Scripture has commissioned us to go into all the world and share the Gospel. But have you ever wondered how we might be able to do that? What opportunities are there, that exist for women to fulfil this command? What if I don’t have one of the obvious professions like Nursing or Teaching that has been the only avenue for women to be missionaries for centuries? This workshop will give a snapshot of various missions, church and parachurch based organisations that exist in Adelaide that provide opportunities for women to serve within them in a vocational capacity. This workshop would be ideal for those considering how to serve God in this capacity; but will also bring to light why we should each be considering how we can serve God in a global context. What are spiritual gifts? Do I have any? How do you find them? What do you do with them?… What’s the difference between being on a roster and authentic Christ-like serving? What if there isn’t a program for my gift to be used in? Together we will seek scripture to de-bunk some myths and help make sense of how each one of us can lovingly and joyfully be serving with our God given gifts for his glory wherever he has placed us.